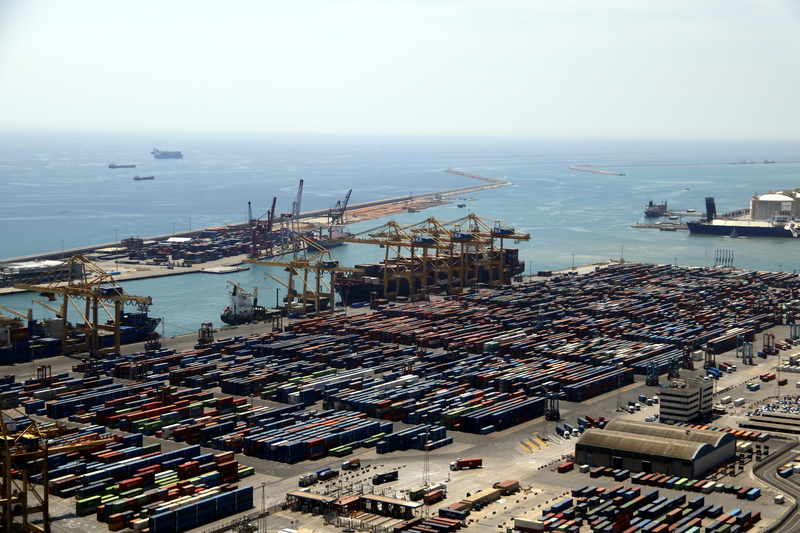 The port of Barcelona will continue to be the fastest-growing in Europe in terms of traffic of goods. This is what the president of the infraestructure, Mercè Conesa, said on Tuesday in a conference with businesspeople of the sector and Catalan government officials. If her forecast is right, Barcelona will follow the trend started in 2017, when it was already the port with the biggest growth in the continent. Last year the containers grew by a 32.5% -with this year the estimated figure will be 15%-, while overall the traffic of goods rose by 26% reaching 78 billion euros and 61 million tons. Conesa also highlighted that Barcelona’s port is becoming more and more focused on exports rather than imports, with a 60% to 40% balance. Few years ago, the figure was roughly the opposite. Mercè Conesa also said that one of the top priorities for her is the sustainability, with initiatives including persuading ship operators to use liquefied gas or lithium batteries instead of fuel. She also explained that with the aim of reducing the port’s impact in the environment, Barcelona’s port has joined the World Ports Climate Action Program, along with Hamburg, Antwerp, Los Angeles, Long Beach, Vancouver and Rotterdam. Conesa, who took office in July, said she also wants to put an end to the years-long claims for an improvement of the train link with the port. She also claimed that better train links would contribute that more goods are transported abroad by railway. So far, only 14% of goods cross the border to France by train, when the European average is at 30%.